Speed up your workflow and use [Auto]CAD2C4D. It's really easy and super fast. 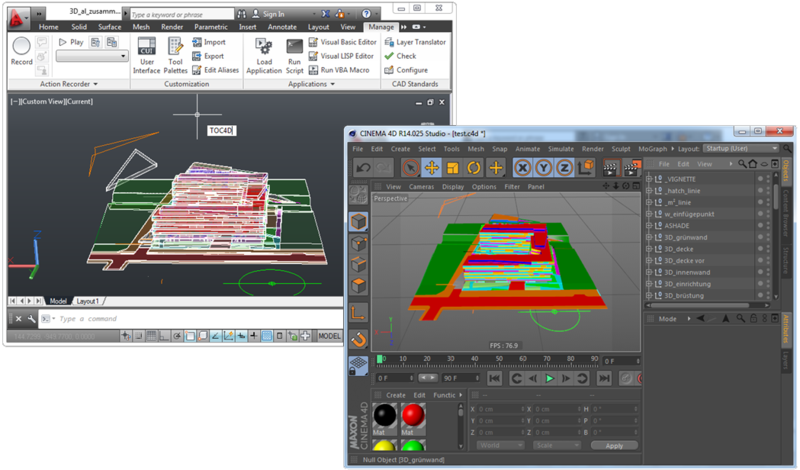 You can export any kind of native AutoCAD objects directly to CINEMA 4D. Convert your NURBS (solids) directly to polygons.